The whirlwind tour is complete. Exhausted, we toured a totals of 5 countries, numerous cities, and drove a little over 4,000 km. I shot approximately 20,000 images. I have only just begun processing this mammoth library, however, I am already quite excited with my captures. 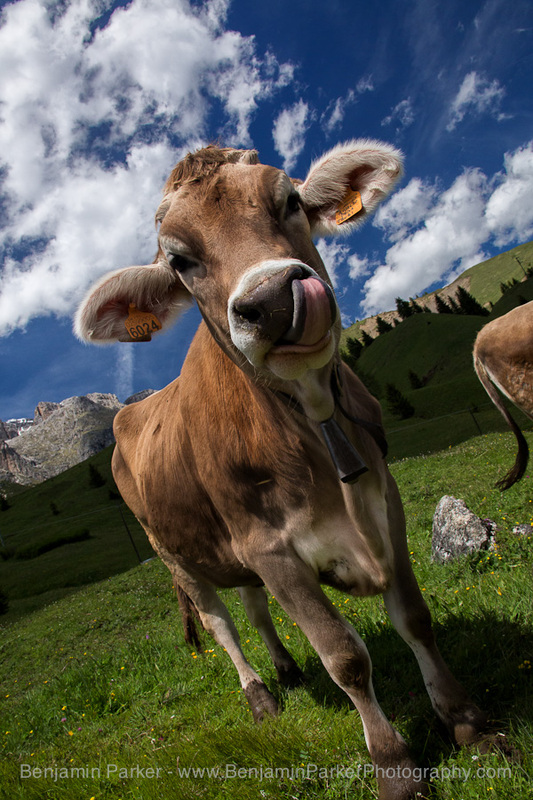 I spotted this cow in the Dolomites and I promptly hired her for a modeling gig. I am fairly certain she is the happiest cow in Italy. The Alpe di Susi region is an amazing location where lush green pastures meet towering limestone mountains. A stunning location I hope to return to soon.